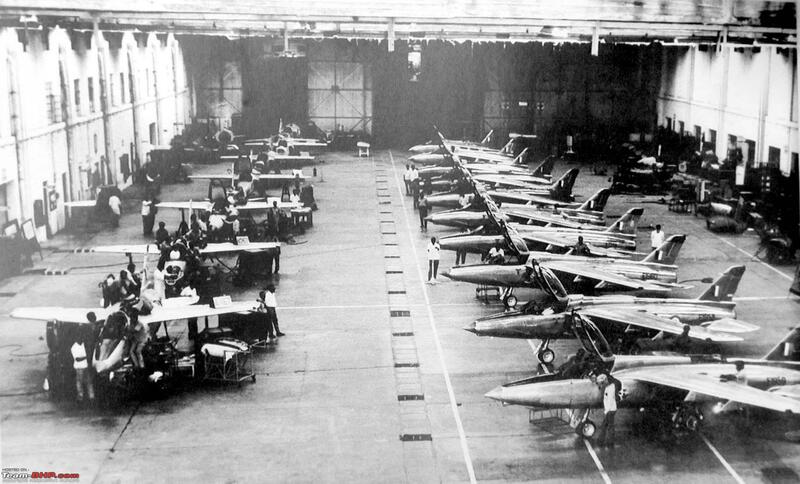 A few photographs marking the journey of our aircraft building programmes and the early years of the IAF. I am not covering the full history of the IAF as that deserves a thread of its own and I have to sift through over 300 old photos to build that story. It is a story worth narrating. 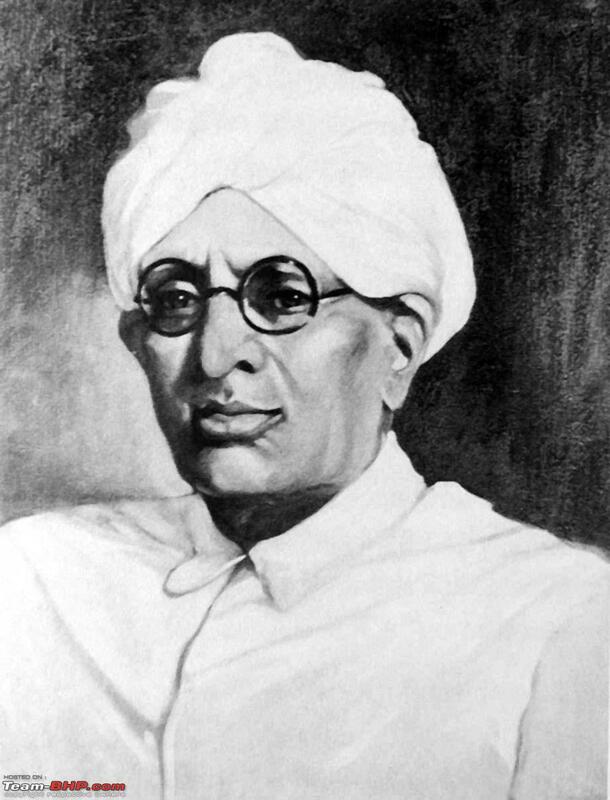 Walchand Hirachand founded HAL in 1939 – then named Hindustan Aircraft Ltd, now called Hindustan Aeronautics Ltd. He was a visionary and a risk taker setting up an aircraft assembly plant in ‘colonial’ India at a time when the colonial rulers were dead against such modernization. He leaned on the Maharaja of Mysore for financial support and the Americans for technical know-how. He also set up the first ship building yard in the country – Scindia Shipyard Ltd, today the Govt. owned Hindustan Shipyard Ltd. His setting up such strategic, long gestation, capital intensive industries put a lie to the industrial policy India followed from 1949 onwards that key industries should be the exclusive preserve of the Govt because private sector would not invest. A Harlow two seat primary trainer takes off creating history. This was an American design and HAL received a license to assemble these small planes. You can see the landing gear folding up into the wings. Sadly I do not know the name of the test pilot. William D Pawley, an American engineer and aviation entrepreneuer came over to India and built the first HAL factory, set up the organization, trained the maiden team and got the first aircraft flying. Pawley later got the US Army Air Force to tie up with HAL to repair their aircraft during WW2 thus laying the foundations of a large scale enterprise. 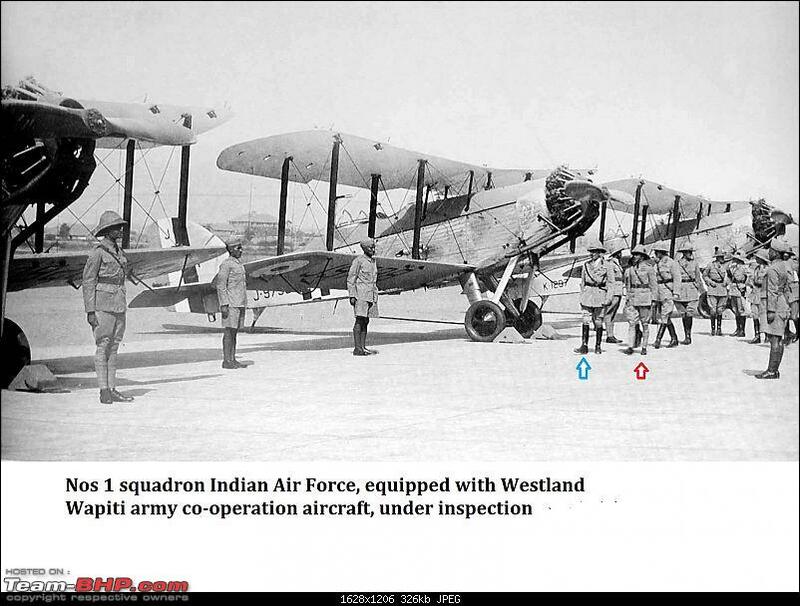 The Indian Air Force was born in October 1932 and went live in 1933. 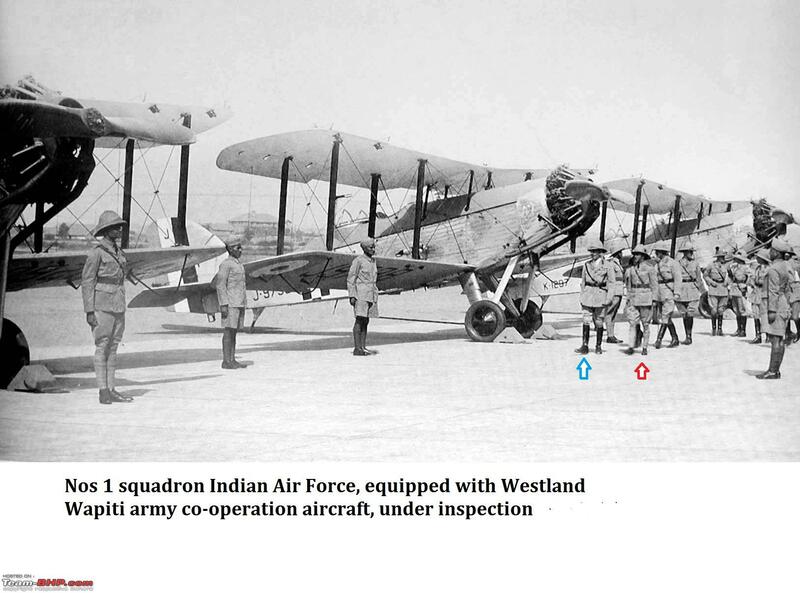 It was meant from the start to be an all Indian force and to act as an aid to the Royal Air force units based in India. A senior British bureaucrat wrote that as we expect to be ruling India for the next 50 years or so we must ‘Indianize’ a part of the Armed Forces. Such was the thinking at that time. 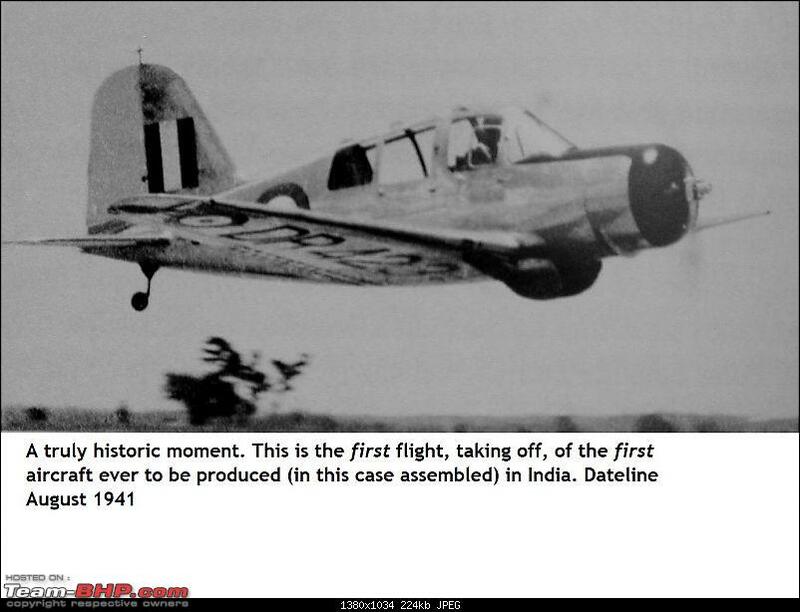 August 5th, 1951 the Hindustan Trainer HT-2 put sunlight beneath the wings for the first time. Its designer – Dr. VM Ghatge. The aircraft was used for 30 years as the primary lead-in trainer by the Indian Armed Forces and flying clubs around the country. The aircraft was powered by a 155 shp 4-cylinder Cirrus Major inverted in-line engine and flew with a top speed of 209 kmph. When empty it weighed in at 700 kilos. With 172 built the design was more than a moderate success for a pioneer attempt. Dr VM Ghatge, in the suit. 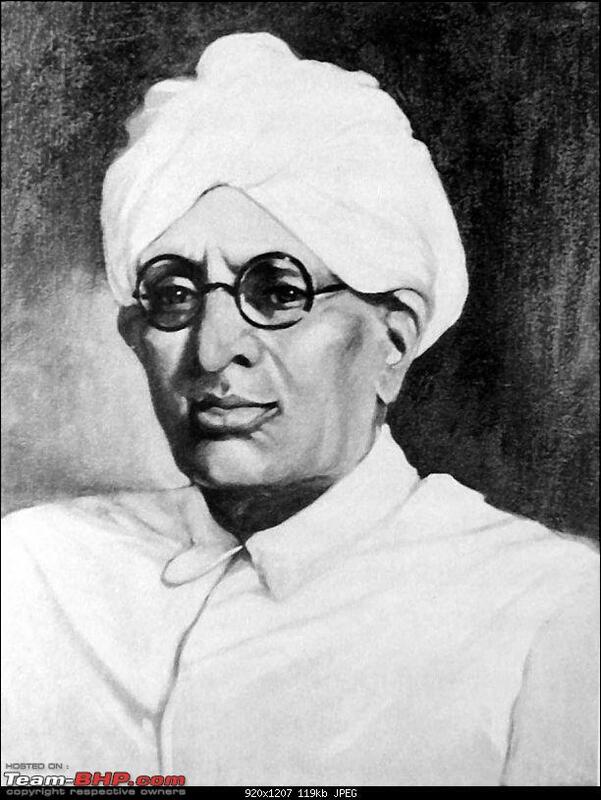 India’s first aircraft designer. 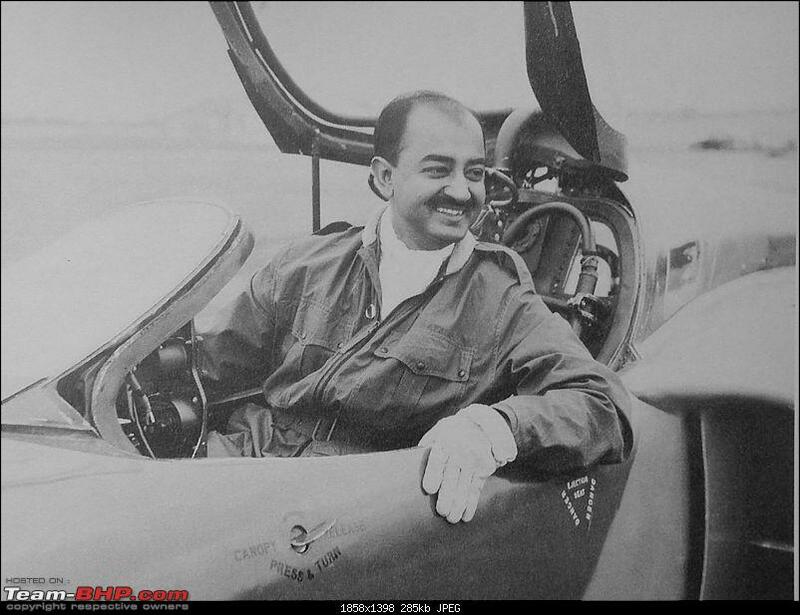 Going by numbers built he designed from a clean sheet of paper the three most successful aircraft designs thus far from India – the HT-2 (172) above and the Kiran HJT-16 jet trainer (190) described later and the HAL Pushpak (160) civil trainer and utility aircraft. Figures in brackets are numbers built. 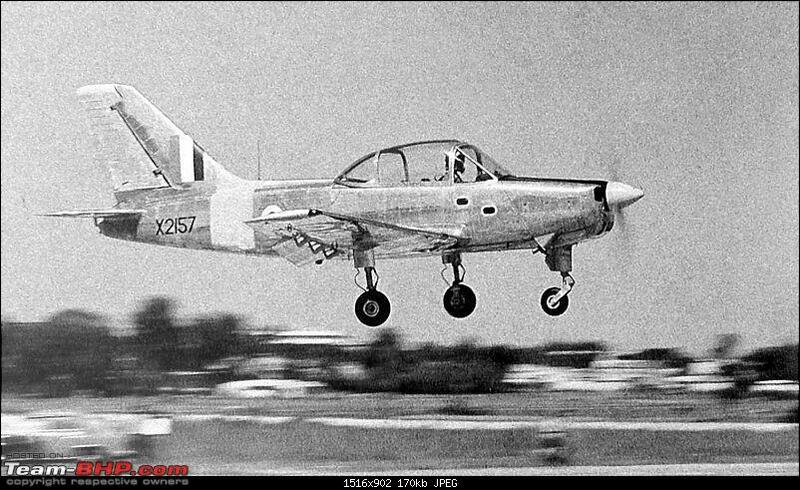 In the mid-1950s we decided to build a fighter for the IAF under license. The Gnat was selected. 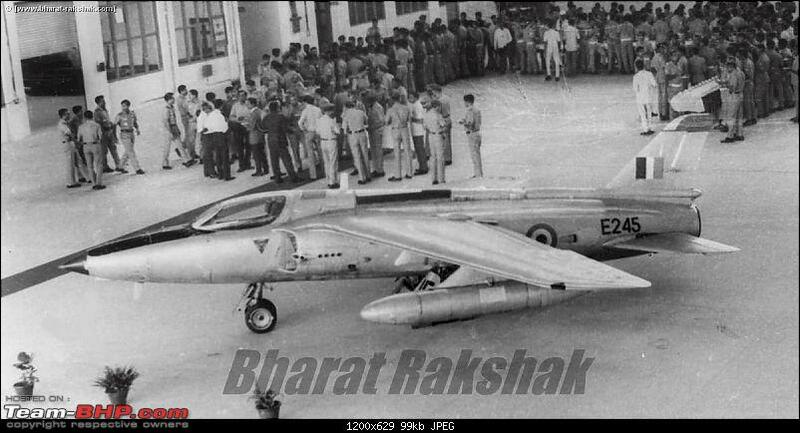 This dimutive, super light super maneuverable aircraft caught the eye of Wing Commander PC Lal (later Air Chief in the 1971 war) and Wing Commander Suranjan Das who was India’s foremost test pilot. Though rejected in the land of its birth the Folland Gnat was destined to make history 10 years later with the IAF in the 1965 Indo-Pak war. 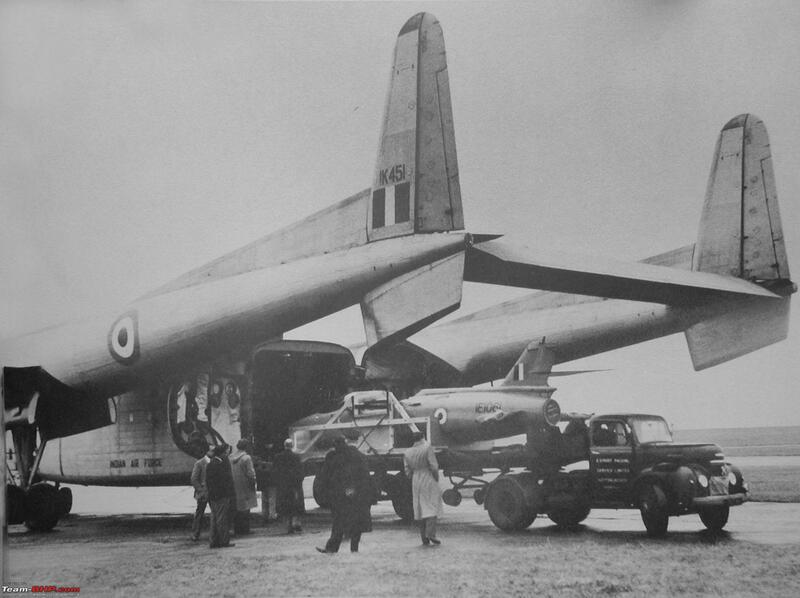 Here you see the first Gnat exported from the UK, into India, being loaded, on a cold English day, into the hold of a C-119G Fairchild military cargo aircraft of the IAF. A few were brought in as CBU units followed by some as CKD and then gradually local manufacture from raw materials started. 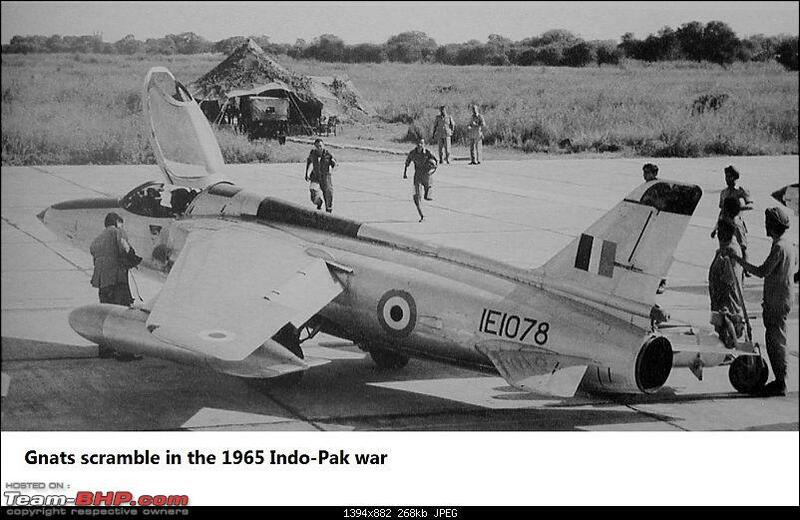 India built 214 Gnats between 1960 and 1973. Note the wings have been removed to enable the aircraft into the cargo hold. Note the British tractor-trailer lorry. May 1962. The first Gnat produced, at least partly, from local raw materials. Tailfin E245. In the 1960s and 70s the word ‘Gnat’ was known to every school boy in India. The Gnat had a top speed of 1152 kmph (622 knots) at sea level and an initial climb rate of 20,000 feet a minute. Very respectable figures for the 1950s. 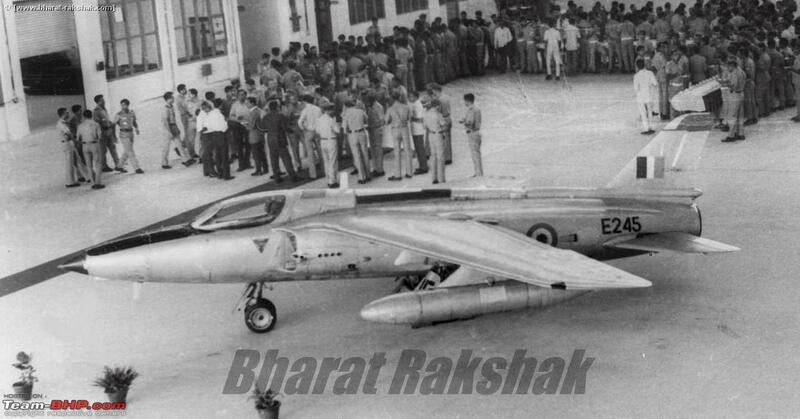 Interestingly it was the first jet aircraft in the world whose engine thrust in kgp was greater than its empty weight. No story on Indian aviation is complete without Group Captain Suranjan Das. 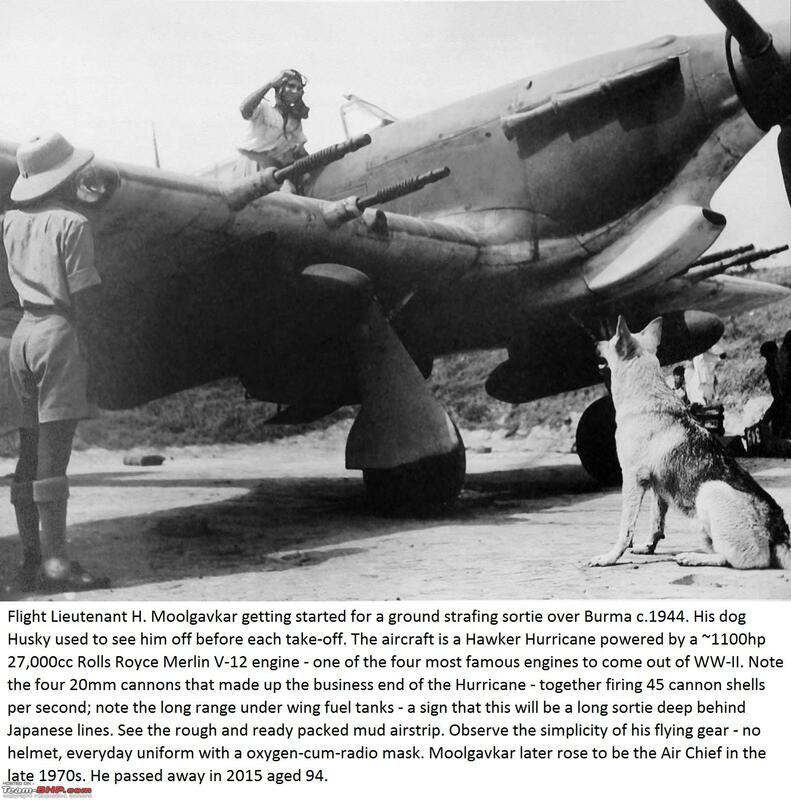 He was one of two of India’s first test pilots having graduated from the Empire Test Pilots School, UK in 1949. 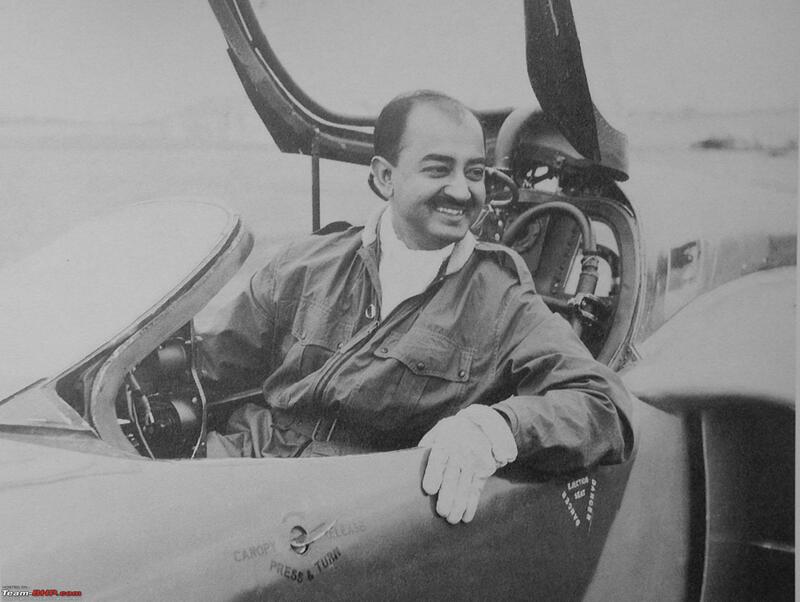 In his career with the IAF he conducted the bulk of the testing on the HT-2 our very first indigenous design (a single engined trainer), was the chief test pilot for the HF-24 Marut and the first to fly it in 1961, later he was the first to fly and test the HJT-16 Kiran (jet trainer). Once while test flying the Gnat he was doing an eight-point roll. He suddenly felt a restriction in the aileron control and the aircraft going out of his control. Instead of ejecting out and saving his life he very calmly started talking on the radio explaining what was happening and giving his suggestions on corrective measures he was trying to apply to retrieve the aircraft from spiraling into an unrecoverable tail spin. He asked the Air Traffic Control to ensure that his comments were recorded just in case he could not recover and was killed! He did recover and worked with the designers on rectifying the problem and for future pilots to learn what corrective action worked and what didn’t. This incident gives us a glimpse into the man and his character. Das was killed in 1970 while testing a Marut version with reheat engines (think of them as the aviation equivalent of turbo charged pistons). He was awarded the Padma Vibhushan posthumously for his services to the nation. Scramble. September 1965. Pilots at a forward base scramble for the fighters as the warning of approaching enemy bogies sounds. 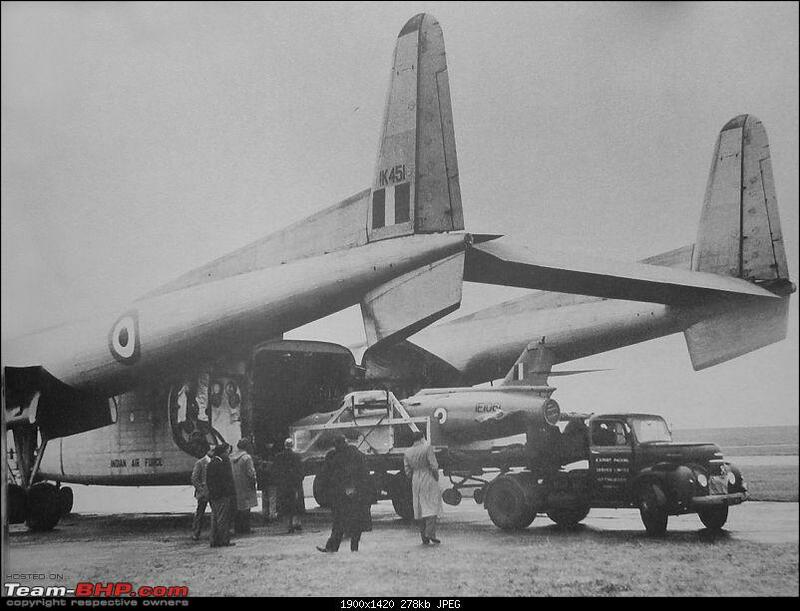 c.1961 First Avro HS.748 assembled in India on a test flight. 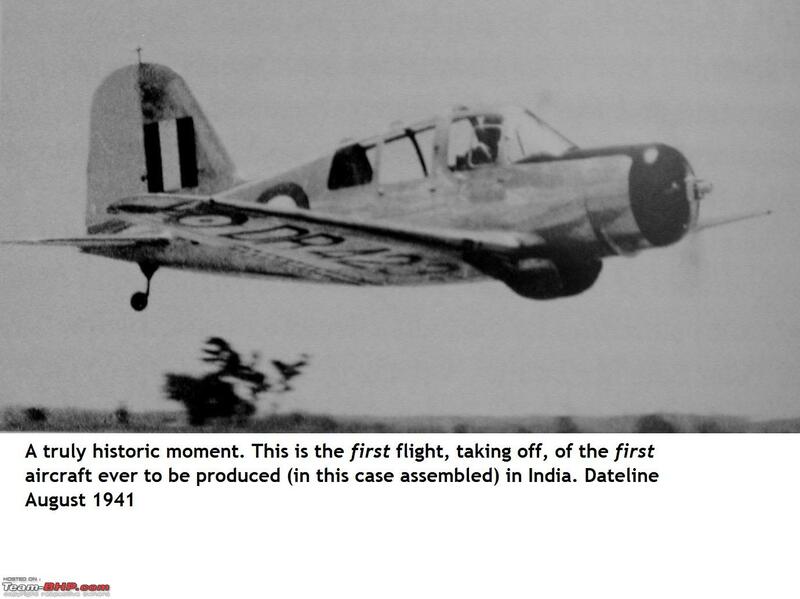 The HS.748 was a rugged but under powered aircraft that the then Defence Minister Krishna Menon ordered under pressure from the British without consulting the IAF. also it was not configured as a military transport to start with. 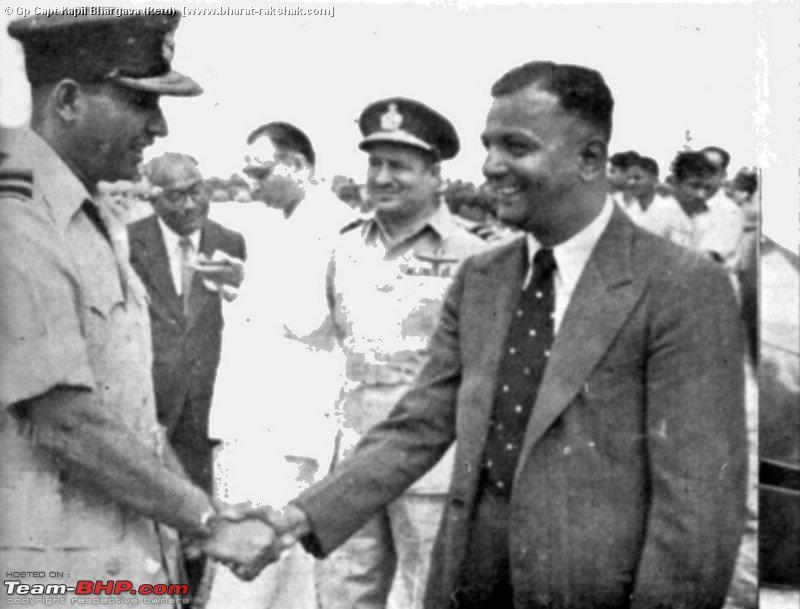 PC Lal, who was to later head the IAF in the 1971 Indo-Pak war protested strongly about burning scarce foreign exchange buying a sub-optimal aircraft for which there was no staff requirement either. Long story short he was sacked by Krishna Menon in October 1962. Just as he started preparing for his pre-mature retirement the Indo-China war broke out, we got thrashed, Krishna Menon got sacked by PM Nehru and PC Lal got re-instated and was thus around to help the nation be victorious in December 1971. 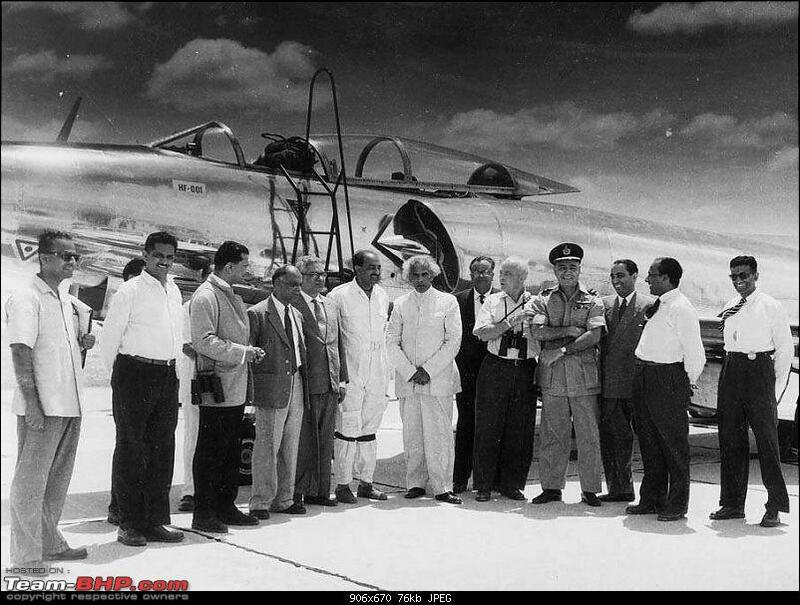 The Marut HF-24 was India’s first indigenous jet fighter and the first supersonic aircraft designed and built outside of the four major powers of USA, USSR, UK, France and Sweden. The first flight took place on 17th June 1961. Whatever else one might say the gumption deserves admiration. The political, bureaucratic and I dare say military hierarchies did not have a proper appreciation of the supply chain infrastructure and quality control challenges that would need to be overcome. 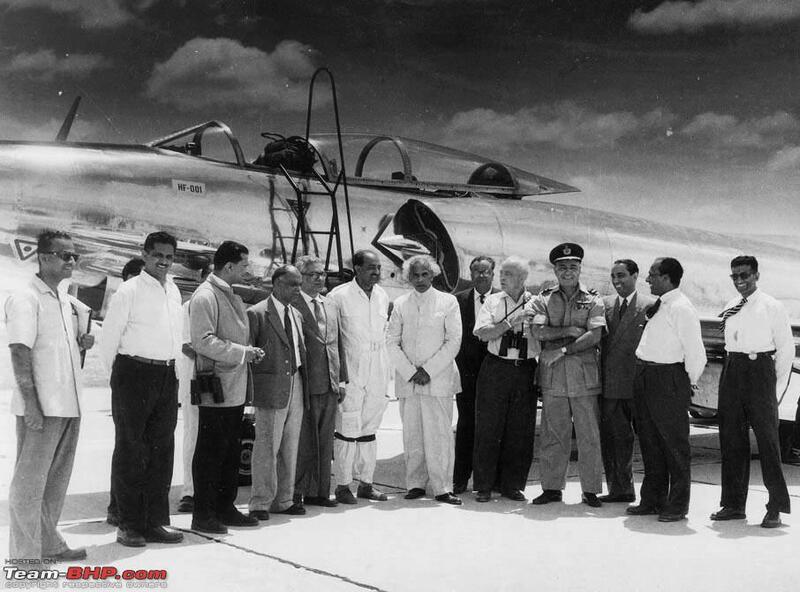 Nehru tried to attract leading aeronautical designers from the west to work for India on this project. It was to his credit that, in 1956, he convinced Dr. Kurt Tank (of Focke Wulf fame) to take up this assignment along with his able deputy Engineer Mittelhuber. Under the nose can be seen the two port side 30mm cannons each capable of firing 10 rounds per second. The two pylons on the left wing can be seen with the inner sporting a drop tank. Each pylon was rated for 2000 lbs (~954 kgs) of ordnance. The Marut had a top speed at sea level of 1112 kmph. At full load she could still clip at 1000 kmph. So think of it as zipping along at 1000 kmph with 4 Maruti 800s strapped to your wings. Immediately after the first flight of the Marut prototype. 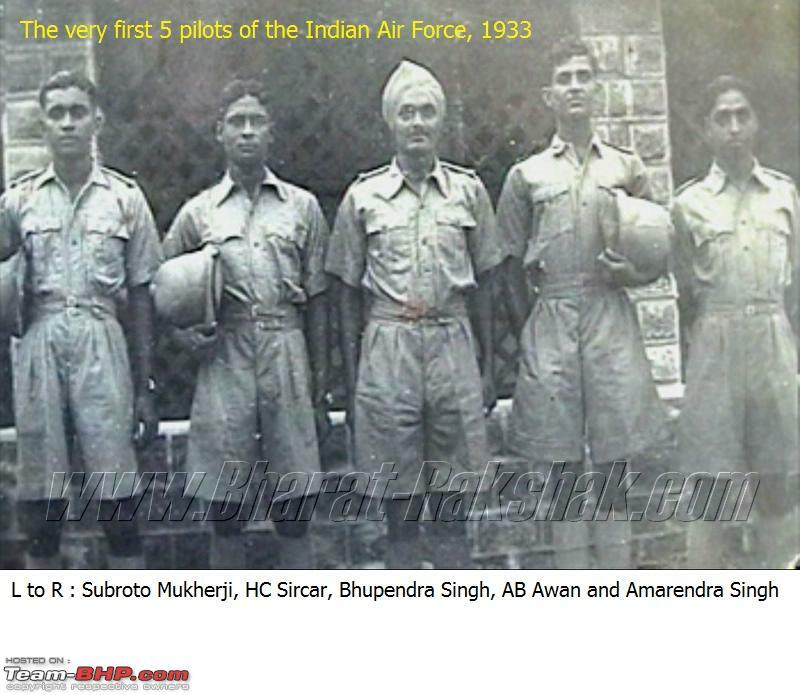 It was flown by Chief Test Pilot Wing Commander Suranjan Das (in the flying overalls). Defence Minister Krishna Menon sporting his fuzzy hair. Dr Kurt Tank to his left with the binoculars and Air Marshal Aspy M. Engineer, Chief of the IAF in uniform. You read about him in the first post. 145 Marut were built. They served from the late 1960s to 1990. 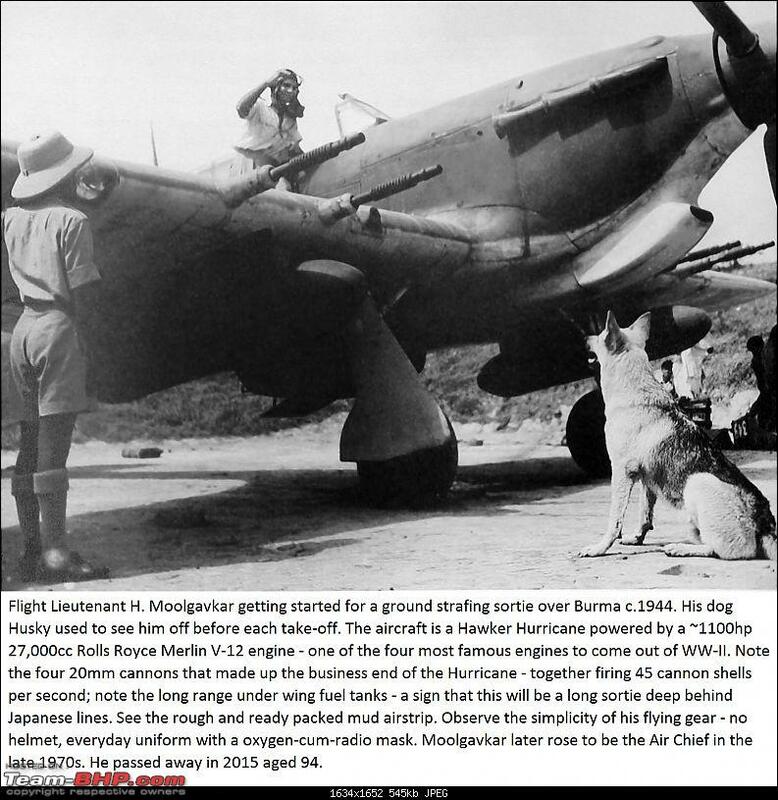 In 1971 they flew 200 ground attack combat sorties many of which were almost 400 kms deep inside enemy territory. None was lost in dog fights and on one occasion a Marut shot down a Sabre. 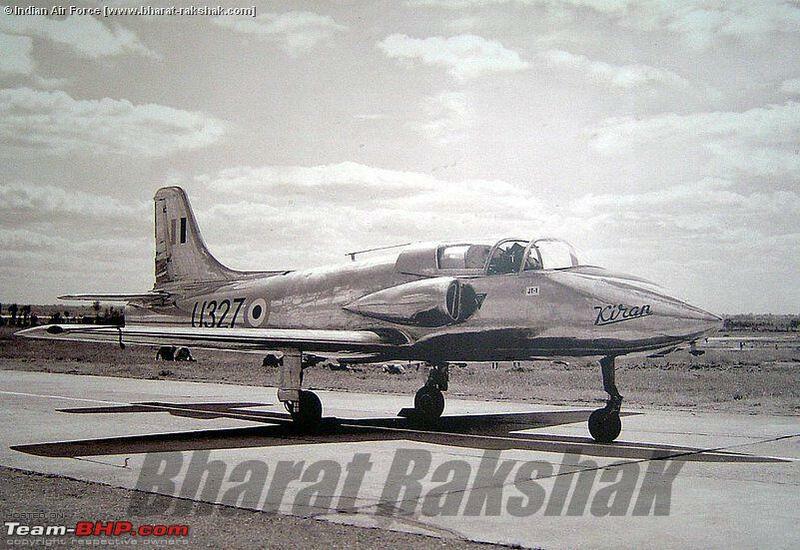 Apathy from the IAF and our inability to find a suitable engine meant this aircraft never reached its full potential. HJT-16 Kiran. Basic jet trainer that enabled rookie pilot pupils to learn how to handle a jet with its higher speeds and G forces. Designed by Dr. VM Ghatge the Kiran served us for over 45 years and was the cradle in which thousands of Indian military pilots earned their wings. Photo on top of the first prototype on 4th September 1964 the day of its maiden flight. If you look carefully you’ll see ‘JT-01’ written below the cockpit sill. Notice the air intakes placed well above the wing – this was to reduce the risk of ingesting debris. 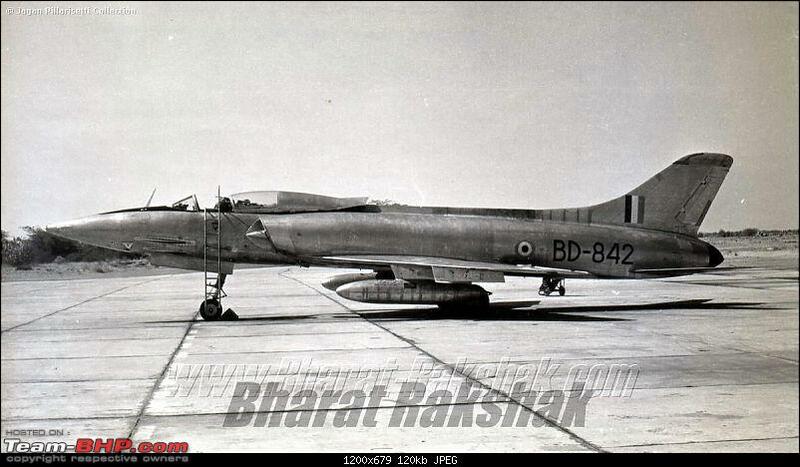 The very first MiG-21M fighter jet built by HAL. c.1974. The MiG-21 is the most important combat aircraft to serve the IAF in importance, in numbers and in sheer longevity. The ‘M’ featured here was the second type built in India succeeding the ‘FL’ and preceding the ‘bis’. 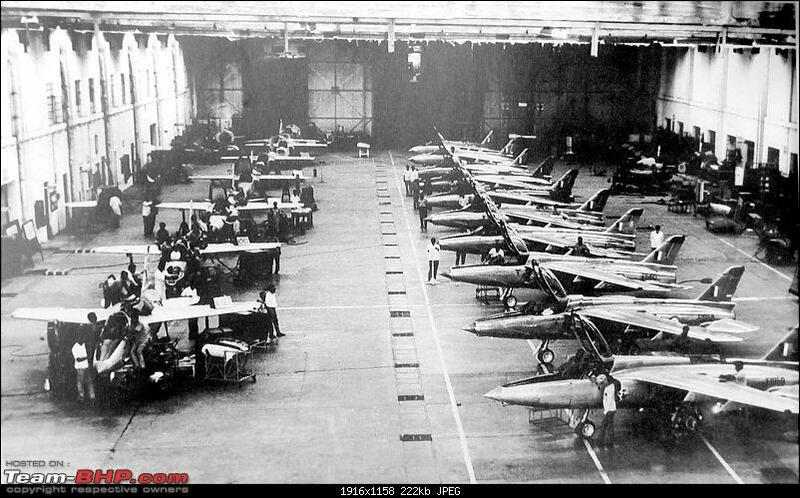 India built over 600 MiG-21s in addition to about 200 bought from USSR. The upgraded MiG-21 Bison soldiers on and will be retired in 2019 56 years after the first flew with the IAF roundels. 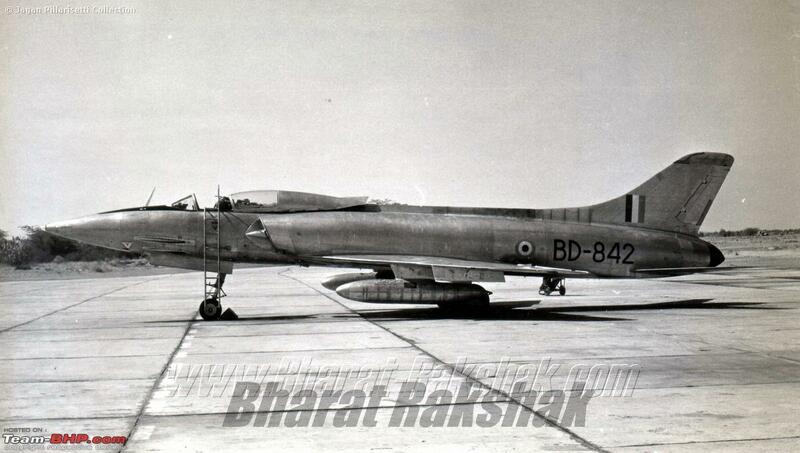 The IAF MiG-21s are credited with 8 enemy aircraft destroyed and 3 damaged. 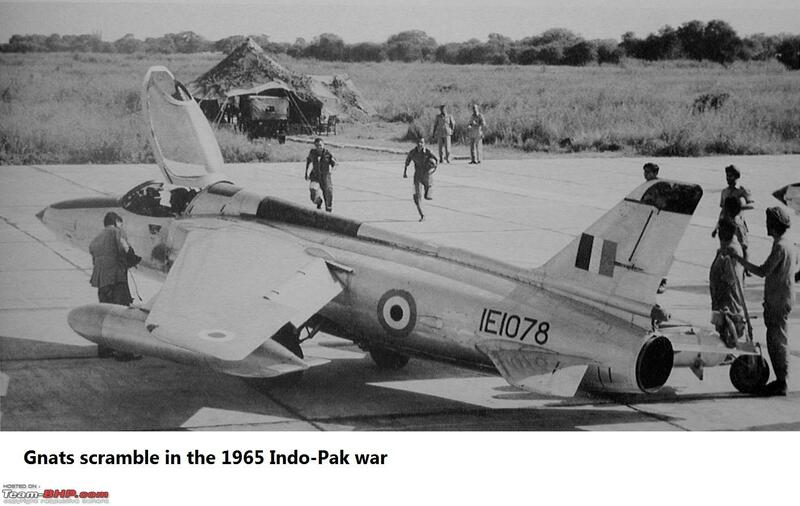 In 1971 the MiG-21FLs established, in the first 24 hours, complete air supremacy over what was then East Pakistan and thus gave the Army under Lieutenant General JS Arora the freedom to river jump through that country in 14 days. For those interested in speed the MiG-21 lands at ~320 kmph. *Source: Red Star Rising: Soviet Fighters by Doug Richardson. First flight of the prototype HPT-32 primary trainer named Deepak. Dateline 6th January 1977. The Deepak was designed as an ab initio trainer i.e. the first aircraft a pupil learns on. Hence it is light, has a single propeller driven by a 260 shp piston engine and the instructor sits next to you to teach you and scream at you when needed. It was a reasonably successful trainer though. It was a replacement for the HT-2 you see earlier in this post. 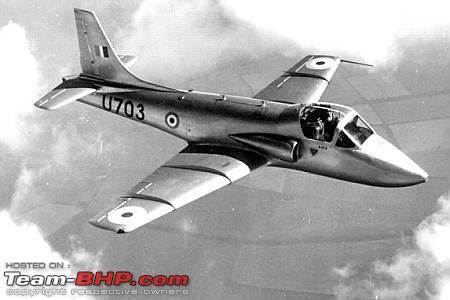 Sadly 30 years later when time came to replace the Deepak HAL were unable to develop a successor or an acceptable improvement of the Deepak forcing the IAF to purchase the Pilatus PC-7 Mk II from the Swiss. What we could do in 1953 and 1977 we failed to in the present decade. 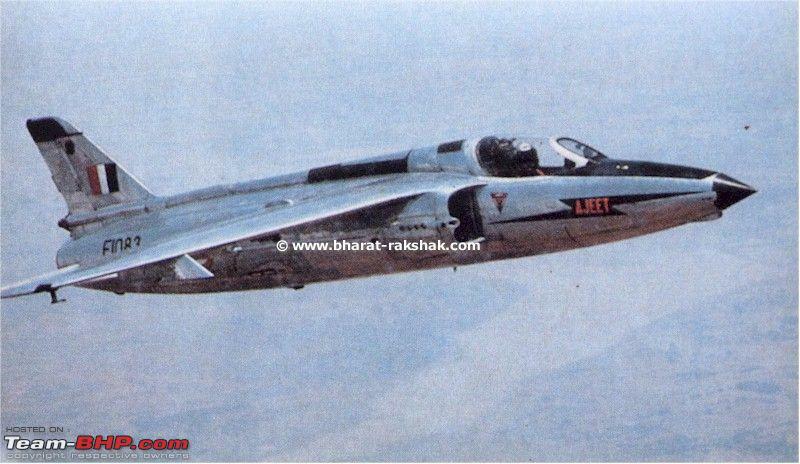 HAL Ajeet prototype on a test flight c.1976. The Ajeet was a great example of how a developing nation should build its aeronautical competence i.e. in steps. 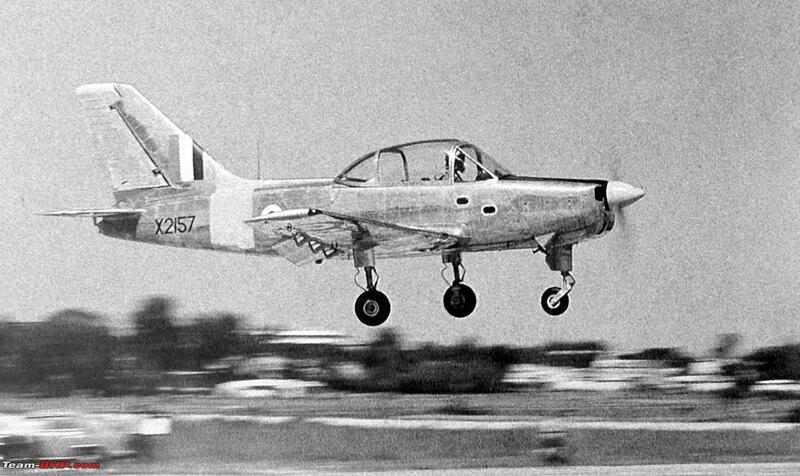 Ajeet was an evolutionary development of the proven Gnat fighter with improvements in fuel capacity, gun sights, flight controls, usable weapon pylons, ejection seat and a few others. It stayed in service till 1991. 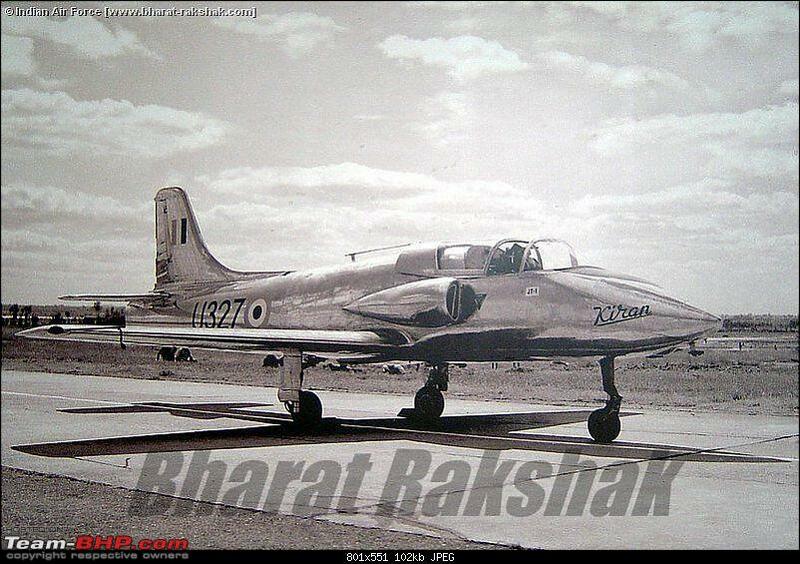 The 1950s to the 1970s were the happy days of Indian aviation design and development. The successes and the enlightened leadership of that time is yet to return. Hopefully progress with the Rudra attack helicopter and Tejas fighter will change that in the next year or two. This article is taken from the BHP forum originally complied and posted by V. Narayan. The views expressed in this article might not be necessarily shared by those of other writers on the blog.